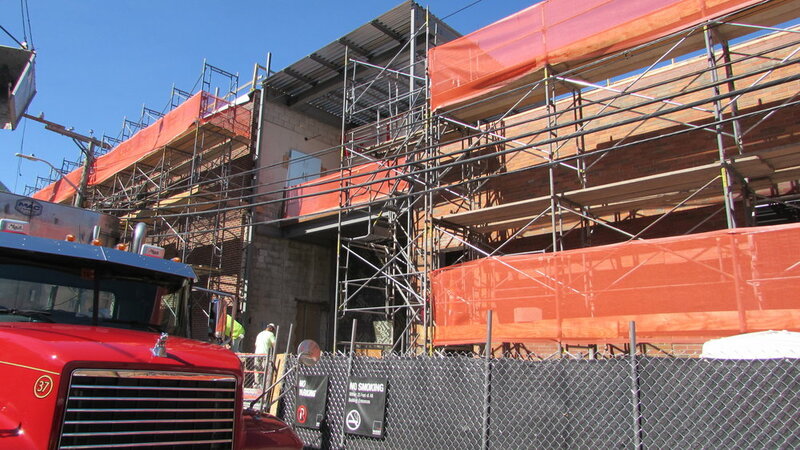 Our New 5 Story Building on Westminster is Going Up! 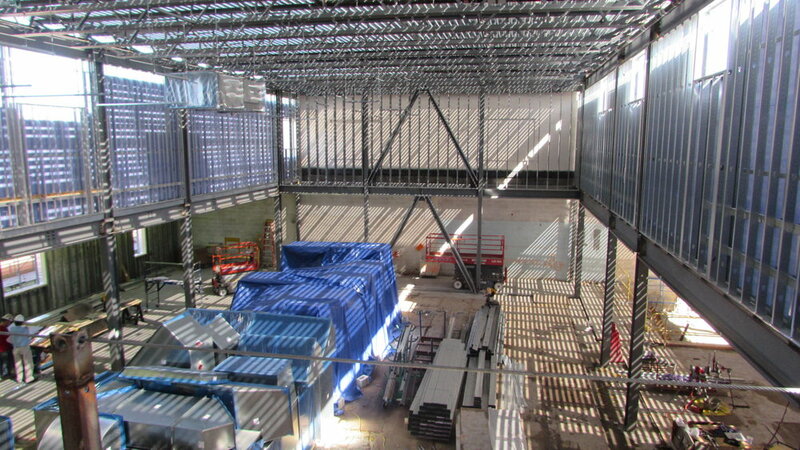 The steel is up for our new building in Providence (Arch: Union Studio, GC: Site Specific, Fab: Northeast, Erector: HB). My contribution is called “Humans, Trees, Ethics” Come join us! This talk will argue that all the main ethical traditions (Utilitarianism, Deontology, Virtue Ethics, etc) should be strengthened by thinking beyond human interests but at the intersections of animals, plants, and the land. 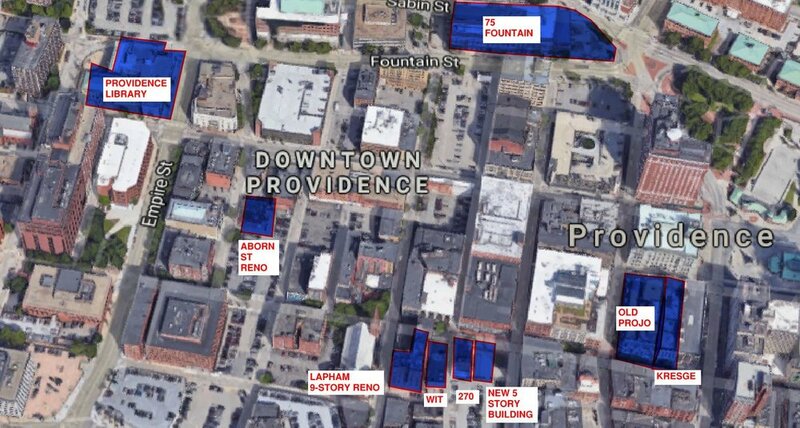 Structures Workshop has 9 projects in design and construction in downtown Providence, see google screen shot below! Structures Workshop Celebrates 10 Years! We are celebrating out 10 year anniversary this Friday with a party! We reached that milestone back in March 2018 and decided we needed to celebrate. We want to thank all our clients and friends for the over 1000 successful projects over the decade! Erik Nelson will lecture at the Forum on Philosophy, Engineering, and Technology (fPet) at the University of Maryland, College Park at the end of May. Nelson will present on the complicated relationship with forests, using American history as a guide, which is fraught with success and failure, describing the significant environmental movements and forest land pioneers, alongside ethical traditions. These different ethical views led to some controversy, pitting conservationists against preservationists, and helped usher in a new ethical framework, one not simply based on human interactions. For us to thrive, animals, plants and the land must thrive, as well. He will provide examples of how Aldo Leopold’s land ethic can help engineers make better decisions regarding the design and use of wood as well as better evaluate the wood harvesting practices in the lumber industry. 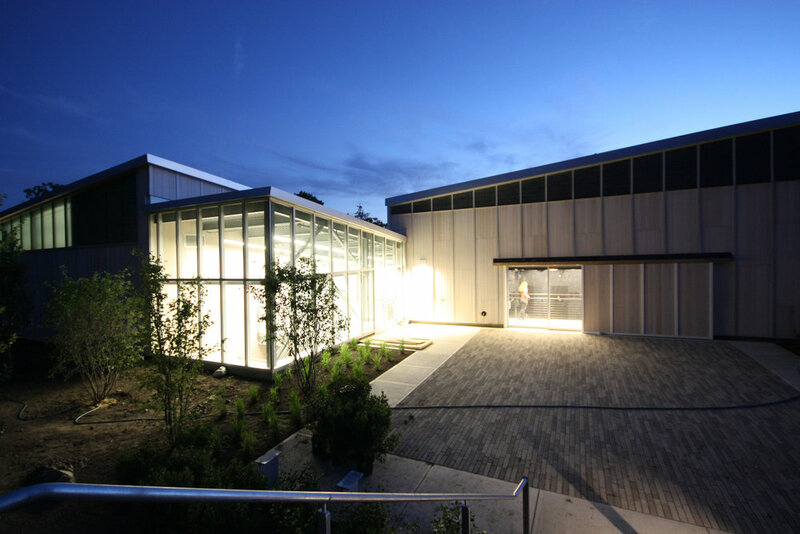 We were the engineers of record for this adaptive reuse of an existing factory building to the new campus theater (Eng: Structures Workshop, Arch: DesignLab). We added an additional level and roof as well as transfered various existing columns over large performance spaces, with new pile caps/foundations. Walnut Hill is 99% Complete! 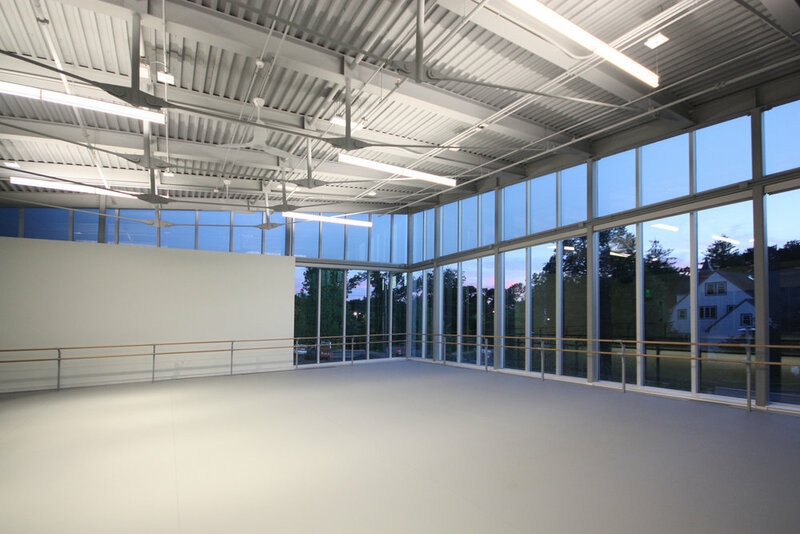 We were engineer of record for this dance studio project at the Walnut Hill School (Arch: DesignLab). The building featured two large column free spaces (one a theater, the other a dance studio) with hyperbolic paraboloid roof structures made from steel queen post trusses. Steel provide by Diamond Iron and JK Scanlon the GC. Structures Workshop was engineer of record for the Hitchcock Center in Amherst, MA. 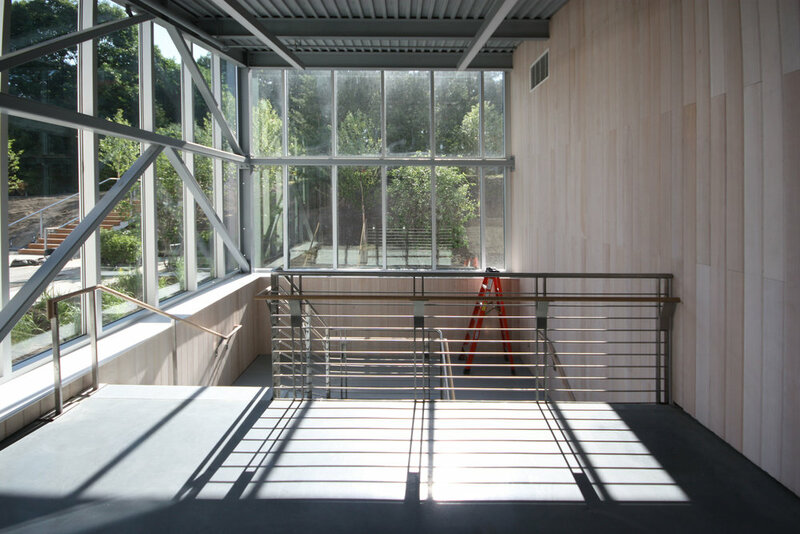 This project is one of a handful in the country that is designed to meet the Living Building Challenge. 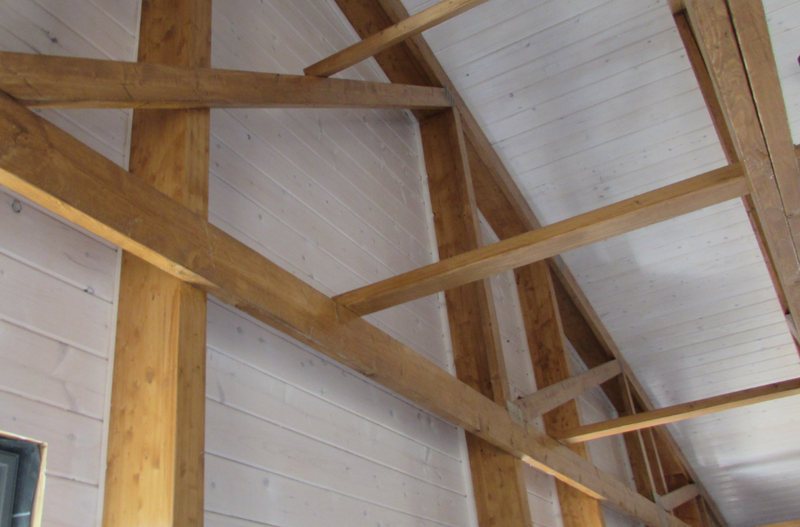 The project (DesignLab Architects) is aiming to be net zero energy, water independent, using all non-toxic materials - all locally sourced wood construction - black spruce gluelam beams (NordicLam), spruce decking, local northern cedar frames, local eastern white pine, etc. This is one of just a few LBC projects on the East Coast.